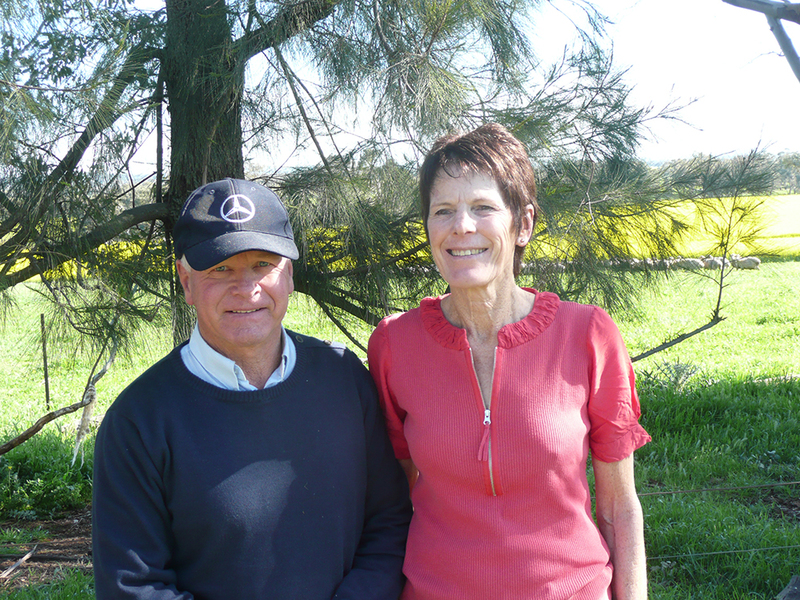 Farmers: Paul and Joan Trevethen, Company Directors, Howlong NSW. Enterprises: sheep, cropping, fish, olives, farm forestry and ecosystem services. Diversification can help build wealth and create a satisfying workplace. At first glance, the Trevethan family’s farm business at Howlong, in southern New South Wales, looks like a typical broad-acre cropping, wool and prime lamb enterprise. But when Paul Trevethan talks about his “livestock”, he is not just referring to the 3700 Merino and White Suffolk-cross sheep. The 2400 hectares he manages with his wife Joan and son Ian are also home to 80,000 freshwater fish. The family added fish farming to its traditional cropping and livestock operations nearly 20 years ago, and has since added an olive plantation, farm forestry and ecosystem services to the enterprise mix. In doing so, the aim was to diversify and spread the risk of drought, as well as generating greater returns from their land and water assets by tapping into higher value markets. Environmental sustainability and encouraging biodiversity have also been an important philosophy underpinning their operations. Looking back, Paul clearly remembers the diversification seed being planted in 1976 when, as newly-weds, he and Joan visited her relatives in Scotland. “They had a highly diverse enterprise, with broadacre cropping, forestry, horticulture, livestock, salmon and a project to enhance the pheasant population. It had an enormous impact on me,” he says. However, it wasn’t until 1996 that the Trevethans were able to act on that inspiration, with an aquaculture development. At the time, Paul worked in research and development with the Shell Group, but he and Joan had already started buying farmland. Their first step was to assess whether their proposed venture matched available resources, skills and infrastructure. The Trevethans decided to sell their cattle to fund the aquaculture, to free up resources. The new venture involved an investment of $1 million in infrastructure, and a significant investment of time to develop their skills. Paul studied aquaculture at TAFE, and spent hundreds of hours researching market access, regulations, tank and pond technology and fish management to ensure they could efficiently produce a healthy, marketable product. The next step was identifying relevant supply chain relationships. “Our fish is sold chilled to the Melbourne Fish Market and live to a Sydney wholesaler. They service local Vietnamese and Chinese communities, and it is very difficult to connect with these end consumers. So, in our case, we need to align with fish wholesalers, rather than the end-user,” Paul says. Successful diversification also hinged on understanding their own strengths, and outsourcing where needed. The Trevethans initially bred their own fish, but found they were dealing with a very small genetic base; now they source fingerlings from specialist hatcheries. The tiny Murray Cod and Silver Perch fingerlings they buy weigh one to two grams each, and take two to three years to grow to the 700 gram turn-off size. The Trevethans sell about 15 tonne of fish each year, which nets around $250,000 annually. The family also diversified into olives in the mid-1990s, but shortly after they planted 2500 trees, managed investment schemes (MIS) entered the industry. “The MIS enterprises were huge players. Together with the continued imports of cheap, subsidised product, they flooded the domestic market,” Paul says. Ever resilient, the Trevethans door-knocked restaurants and domestic food buying groups to promote their olive oil, but eventually acknowledged the olives required too much effort for too little return. Their trees are now in hibernation. However they maintain a small market presence by sourcing oil from a trusted grower who has the same variety of trees and husbandry practices. This ensures they can re-enter the market at any time. Paul and Joan also ventured into farm forestry, initially to correct dryland salinity concerns. They have planted about 80,000 seedlings, mostly radiata pines, eucalypts and silky oaks. The trees provide no income in the short to medium-term, but may add future value to the farm. The immediate benefits are shelter for livestock and ecosystem services. Starting with just one property, today the Trevethans own four properties, lease one and share-farm three others. In all of their ventures they apply the same principles: balance production; value human capital; and assess risk and return. Maintaining the balance, particularly in the aquaculture industry, means ensuring production does not outstrip demand, which would drive down prices. This maintains good returns for their product. Paul says external challenges can be overcome by identifying the right economies of scale for each aspect of the business, to prevent over-supply and to use resources and equipment efficiently across the farms. He says the people working in the business are also crucial to its success; valuing the human component of their operations ensures a happy workforce and family. There is rarely any down-time, so the Trevethans prioritise activities, maintain communication, and ensure everyone can contribute across the business. Paul, Joan and Ian count their employee Kate Greenaway as an integral resource. Kate visited their farm 10 years ago when she was a TAFE student and has been part of the business ever since. Another of Paul and Joan’s four children – their second son Tim – also plans to return to the business in 2014 and will contribute his agronomy skills. Business planning – assessing the risk and return of each enterprise – is also an essential part of knowing where to focus resources. 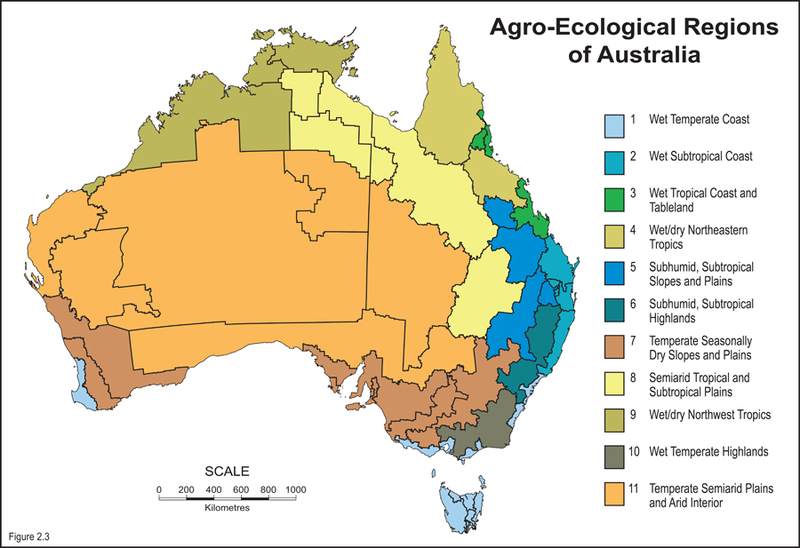 Cropping is the main enterprise, accounting for 75% of their annual income. Paul classes it as a high income, high cost and moderate risk enterprise. Wool and lambs contribute 12 per cent and are moderate income, low cost and low risk. Olives contribute one per cent of the farm’s income and represent moderate cost and risk, while aquaculture makes up 12% of income and is high income, moderate cost and high risk. 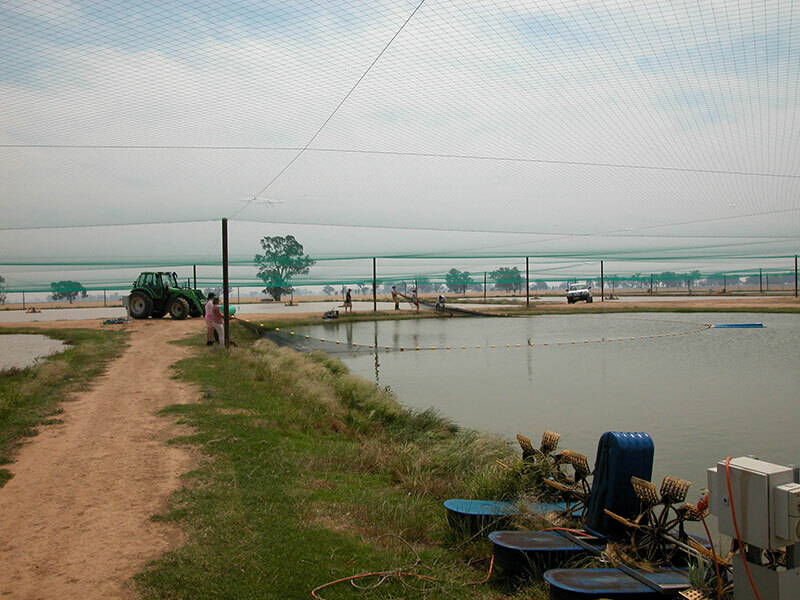 The fish farm helps to spread (not reduce) risk and increases the return on capital in the face of high local land prices. Paul says diversification has helped them to build their assets, but has also created an interesting and personally rewarding business. “Joan and I also believe diversification is an important part of our farm succession plan, as it, hopefully, has made the business satisfying to come back to.” The Trevethans’ commitment to diversification was recognised in 2013, when they were named Diversification Farmer of the Year in the Kondinin/ABC Rural Australian Farmer of the Year awards.